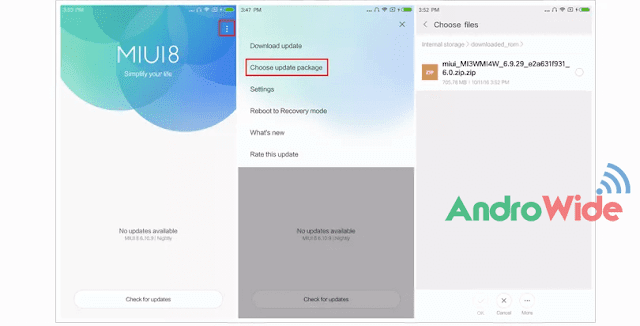 Yes, you read the title right, Finally Nougat 7.0 update is shown on some of Redmi Note 4 devices officially and no root required this available through OTA's. I myself an owner of Redmi Note 4, very excited and am sharing this article to know what changes has this update brought to your mobile. The long awaited stable version of Android Nougat has finally come to Redmi Note 4. During the launch of Redmi Note 4, Hugo Barra has promised/ announced that the Redmi Note 4 will get the Nougat but our waiting for Nougat update for our Redmi Note 4 devices was immense. Finally, with no intimation or announcement, Nougat update popped up. What changes came up with the new update? Would be our next question, guess what, there are a lot of changes. What are the most important changes that you guys think that we got with this update? I love the Support for exFAT SD cards, New App Size, Gallery Revamp, Redesigned Music App. Hope you guys enjoy it. I am super excited, Thanks, Mi! Xiaomi to Launch Its First Dual-camera Smartphone in India.